Why do we love fat cats? Duh! Because they're so cuddly, cute and fat, of course! so what are you waiting for? 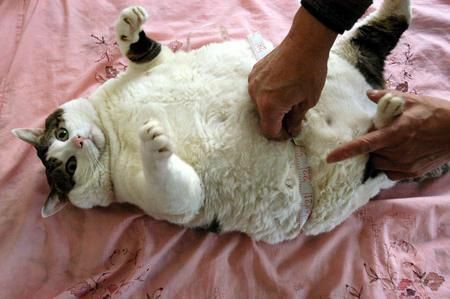 Check out Neatorama's top 15 list of "fat-tastic" fat cats: Riley, a 24-Lb. Xu Jirong's Chinese Fat Cat.